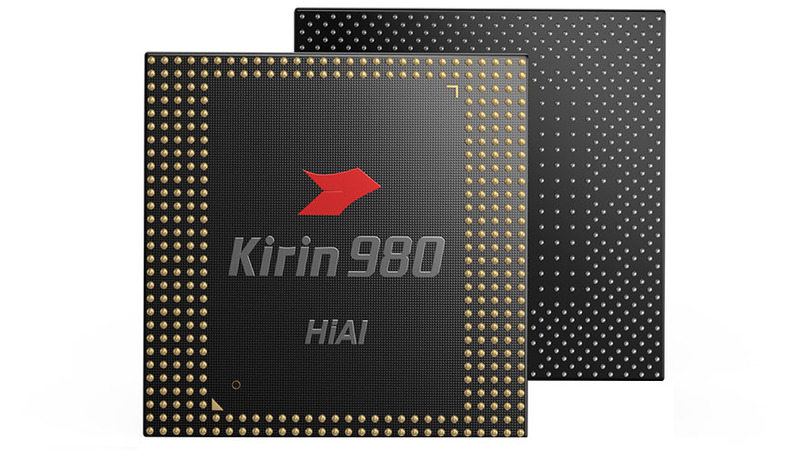 The HiSilicon Kirin 980 is an ARM based high-end octa-core SoC for smartphones and tablets, which was introduced with the Huawei Mate 20 Pro in late 2018. It integrates eight CPU cores in three clusters. The performance cluster contains two Cortex-A76 cores with up to 2.6 GHz, the balanced cluster contains also two Cortex-A76 cores but with only up to 1.92 GHz and finally the power saving cluster contains four small ARM Cortex-A53 cores with up to 1.8 GHz. Furthermore, the SoC integrates a modern LTE radio with Cat 21/18 (max. 1400 Mbps download, 200 Mbps upload), 2x faster dual ISP (versus 970), a LPDDR4X 2133 MHz memory controller (34.1 GB/s versus 29.9 GB/s of the Kirin 970) and a 2160p30 H.265 video encoder (2160p60 decoding). The Kirin 980 is produced in the modern 7nm process at TSMC as the first Android SoC (after the Apple A12).